Today’s preservation movement recognizes the need for more complete, inclusive representation of communities across the nation, which are increasingly socio-economically, racially, ethnically, culturally, and generationally diverse. Preservation efforts must prioritize inclusion in order to tell an accurate and comprehensive story—and to remain relevant. Professional development and training resources help preservationists engage diverse groups and preserve sites significant to historically underrepresented communities—including people of color, women, LGBTQ, and youth—to tell a broader range of stories. The Diversity Scholarship Program supports the attendance of leaders from underrepresented communities new to preservation and of emerging preservation professionals at the National Trust's annual conference, PastForward. Blog Series: When Does Preservation Become Social Justice? The National Trust and its partners are raising $25 million to create and invest in the African American Cultural Heritage Action Fund—the largest preservation campaign ever undertaken on behalf of African American history. Our mission: to draw attention to the remarkable stories that evoke centuries of African American activism and achievement, and to tell our nation’s full history. Being more inclusive often means introducing new communities to the world of historic preservation. 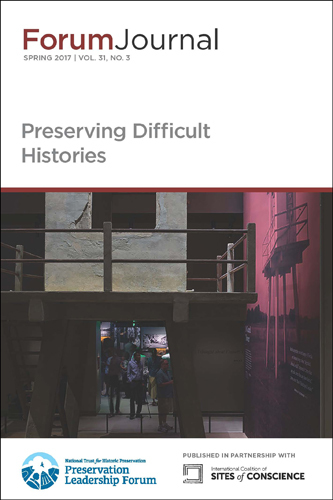 These tools provide background information to aptly navigate the intricacies of the preservation field.